It's July and we are in the midst of our yearly Canada trip. For The Kids Cook Monday this week, it's time for a something yummy using one of our all-time favorite summer ingredients, the zucchini. 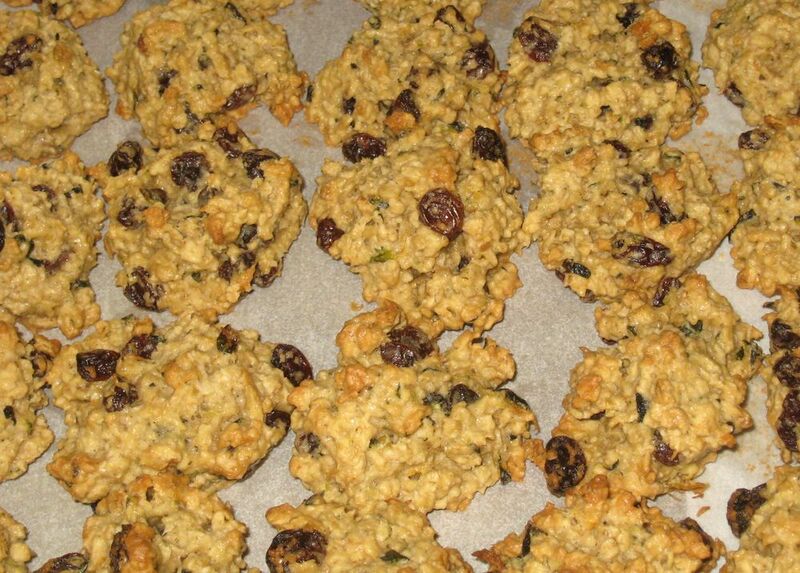 And today, we are making zucchini-oatmeal cookies, à la Rachael Ray. I found the recipe in my Everyday with Rachael Ray magazine and adapted it a wee bit for F&B. I'm thinking it might be really awesome with chocolate chips instead of raisins too. Combine butter and sugars till creamy, beat in the egg. Mix in oats, zucchini and raisins, let stand for 1/2 hour. Drop into spoonfuls on cookie sheet.